Annie Morey (cq) walks down West Front Street in downtown Traverse City on a Friday afternoon where temperatures dipped into the mid-teens. 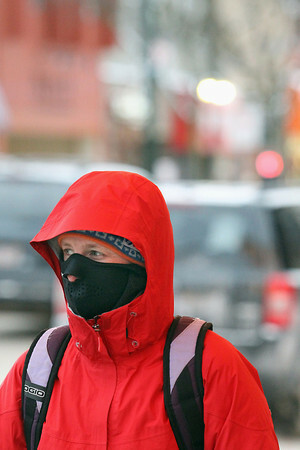 "I know I look weird, but I'm warm," Morey said about her facemask and cold weather gear. The weather could turn even colder early next week, as forecasts call for highs in the single digits.